If this hike is too long for you, I offer a shorter version below in the directions too. 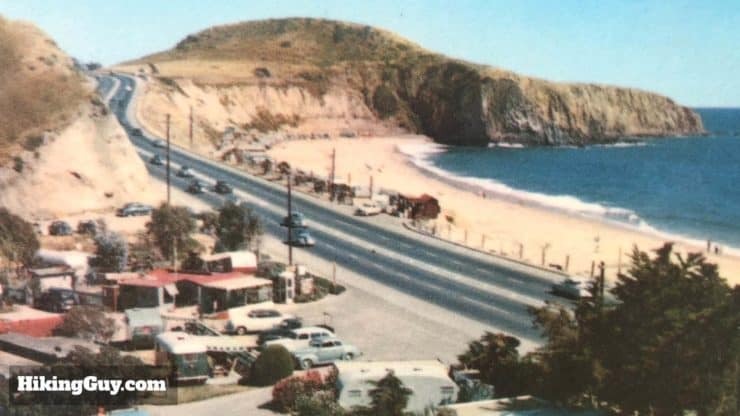 Before Crystal Cove was a State Park, it was a trailer park. You can see the mobile homes in this historic photo of the area where your parking lot is The state fought to evict the trailers for several years, and finally opened the park you see around you in 2006. 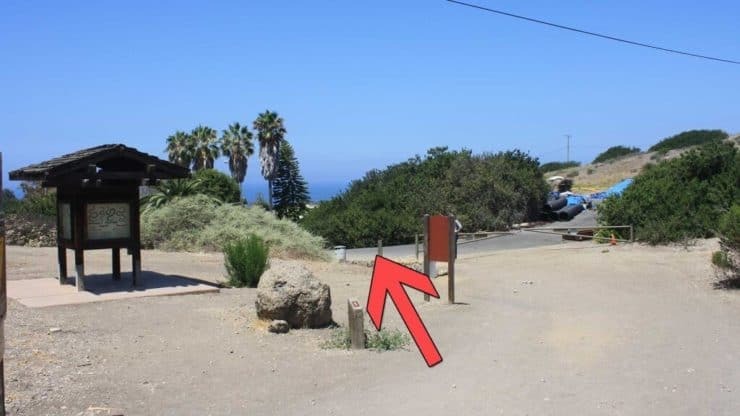 Where Do I Park For the Crystal Cove Hike? 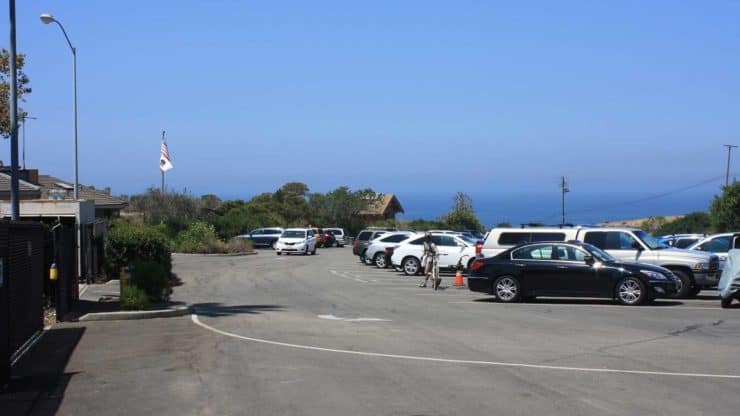 Crystal Cove State Park has several parking areas and entrances. 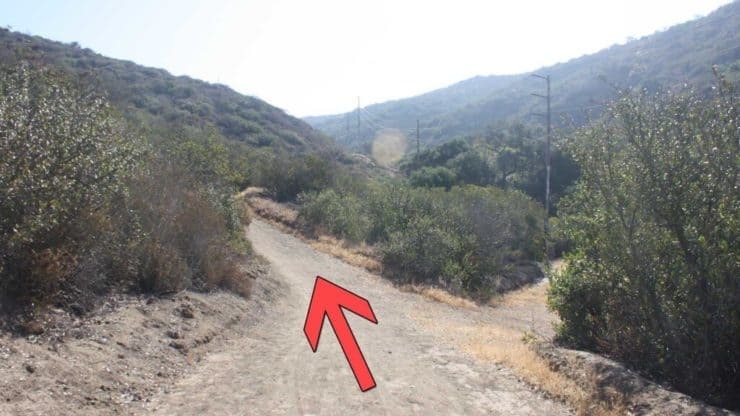 Use this trailhead address for the hike: 8471 N Coast Hwy, Laguna Beach, CA, 92651, USA. 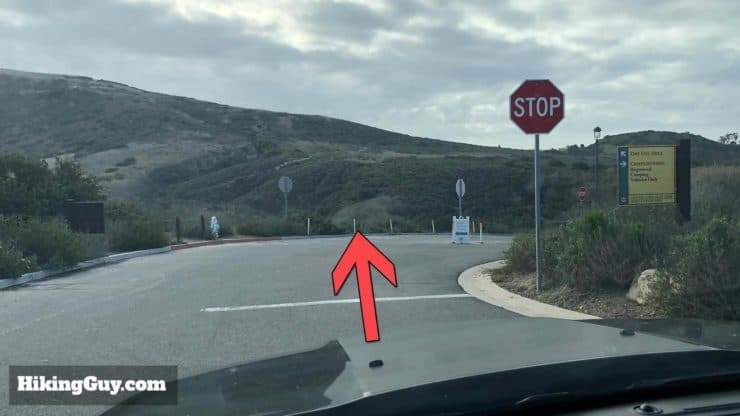 Once you turn off the Pacific Coast Highway, follow the directions below. There ares some twists and turns to get to the correct parking area for the hike. 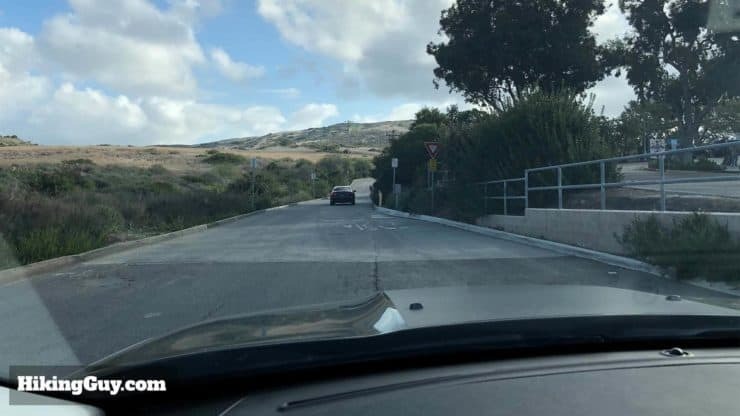 When you turn off the PCH (local lingo for the Pacific Coast Highway) in Laguna Beach, go straight, there will be a school to your right. At the first split, bear to the left. Keep right and head to the campground, not the ranger station. Pay your fee to enter the park on this stretch. After paying your fee, head straight, avoiding any turnoffs to the right for the campground. 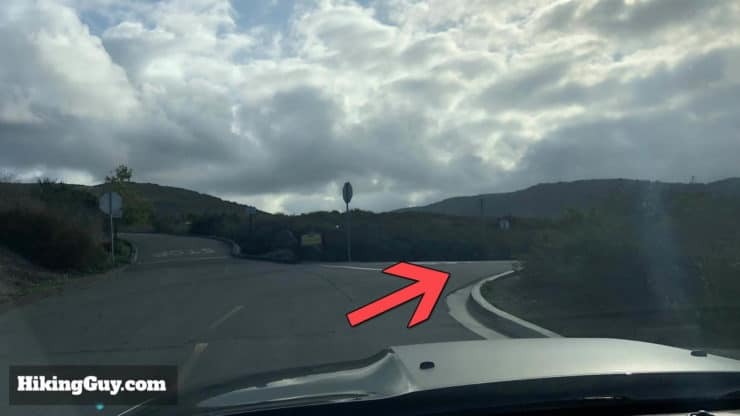 When you reach this junction, bear left and drive down the hill to the Moro Canyon parking area. 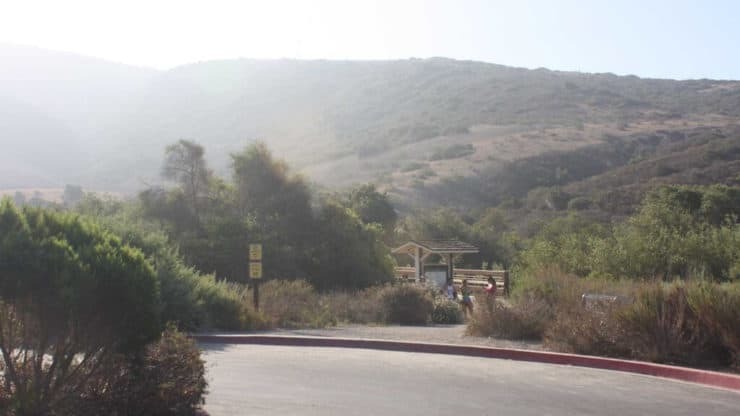 Crystal Cove State Park can get crowded, especially in the summer. Show up early before the parking lot gets full. Otherwise you will be turned away at the park entrance. 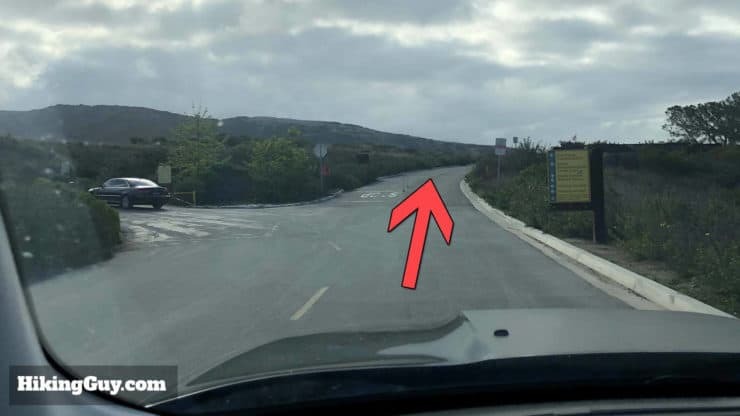 There is a fee to park here, or you can use a California State Parks Pass. 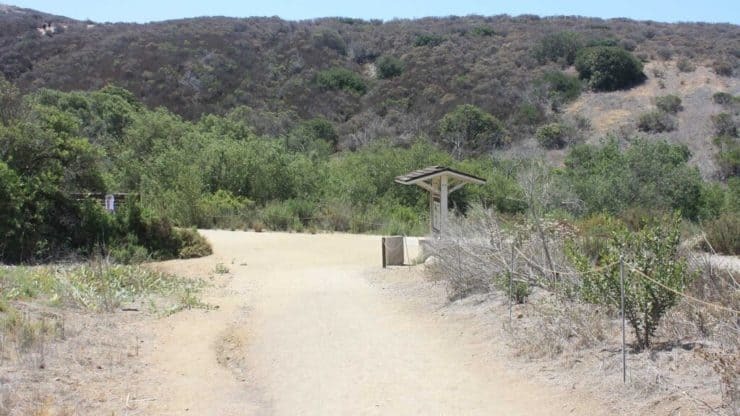 There are bathrooms and water at the trailhead, and at the mid-way point on the hike. After your hike, walk down to the beach for a swim and grab a bite and a drink at the Beachcomber Cafe. 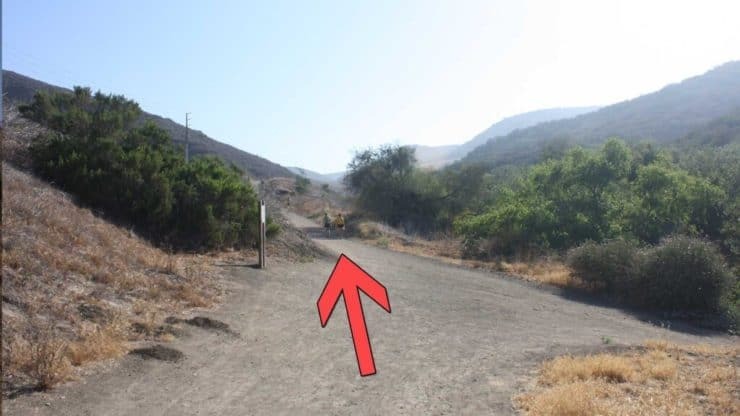 There are some interpretive markers on the trail that have QR codes. If you have a smartphone with a QR code reader, can the markers for more information. Although people do this hike in workout clothes, it’s a longer hike and I do recommend proper hiking gear. In the summer it can get hot. Bring at least 1L of water; I bring 3L. A snack or two will also help you get through the entire hike. 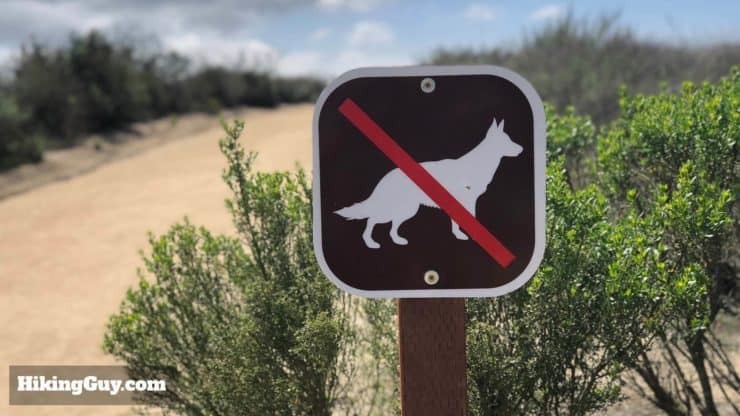 Unfortunately dogs are not allowed in the park. This is to protect the delicate ecosystem here. 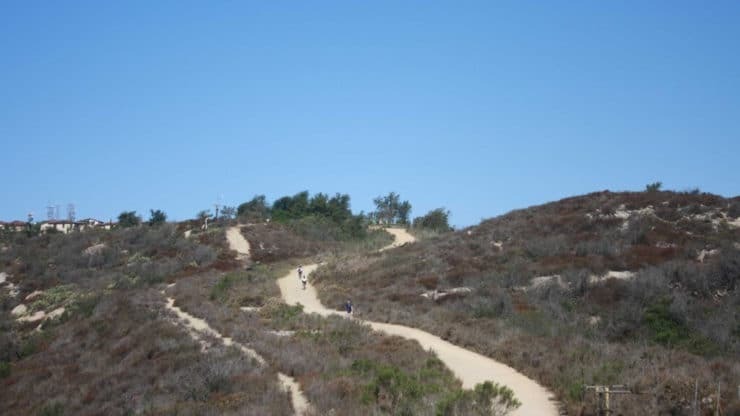 The Crystal Cove hike does a loop in the park. 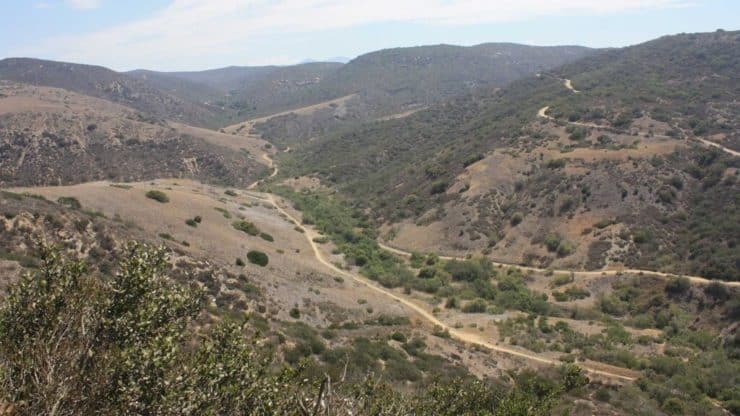 It climbs up the picturesque Moro Canyon to the highest point in the park, then down along a ridge. 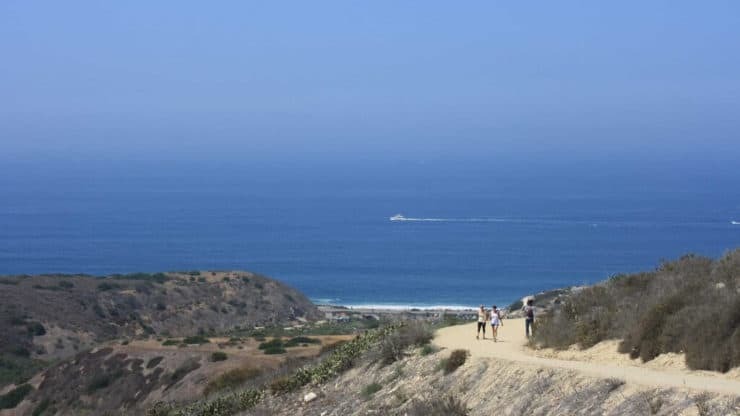 The Crystal Cove hike climbs to the highest point in the park, and then you’re rewarded with non-stop ocean views on the long descent. 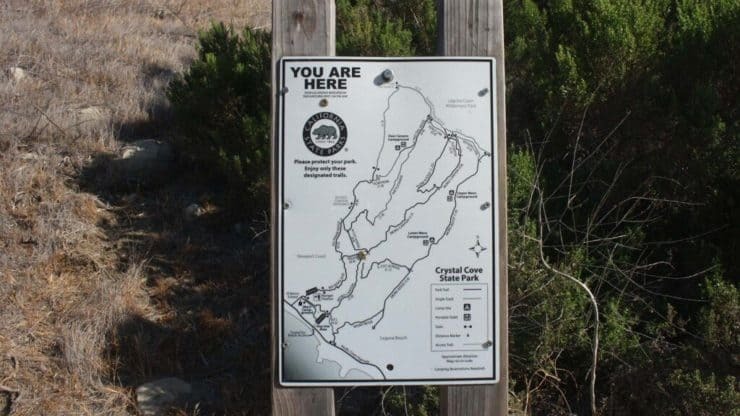 At the trail junctions, you’ll notice these handy Crystal Cove State Park trail maps. The rivet or screw in the sign indicates where you are on the map. 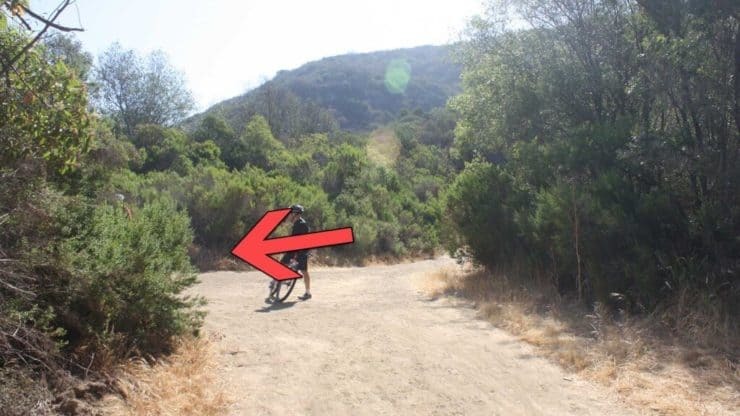 There are mountain bikers and runners, so keep an eye open and give them room to pass. The parking lot has bathrooms and a sink to fill up your water bottles and daypacks. Go towards the board at the far end of the lot to begin the hike. Start the hike by going over the bridge. 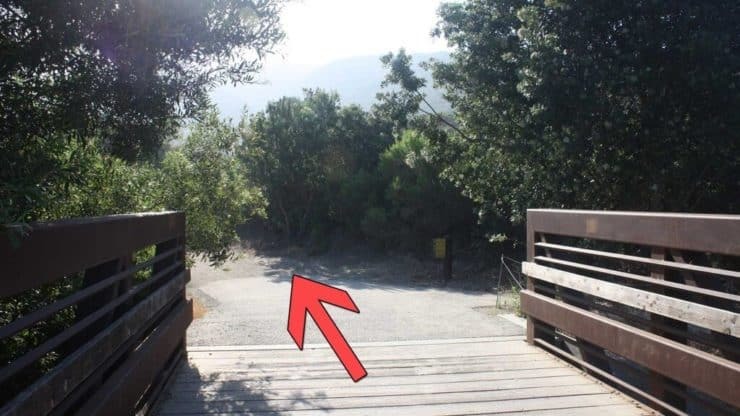 Once over the bridge, hike to the left on the big trail. Soon after that, ignore the trail to the right and keep hiking straight. As you continue hiking, the trail climbs, and you get a nice view of the valley that you’ll be ascending. 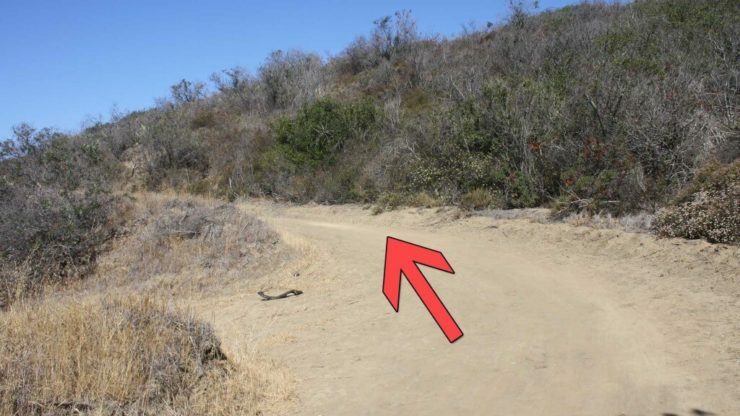 At about 1 mile, keep hiking to the left. 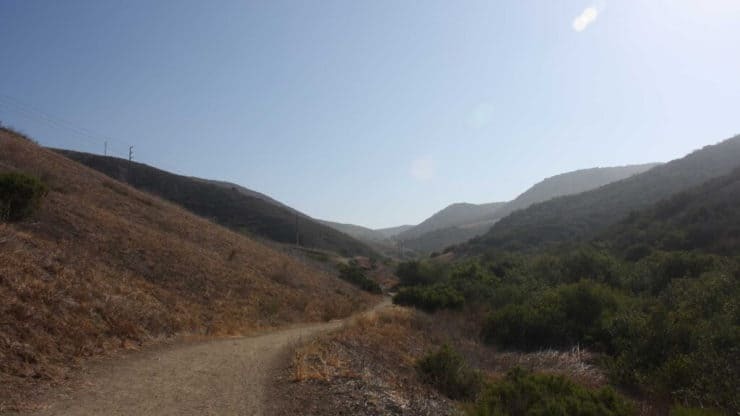 Shortly after, at about 1.1 miles, stay right and continue up El Moro Canyon Trail. 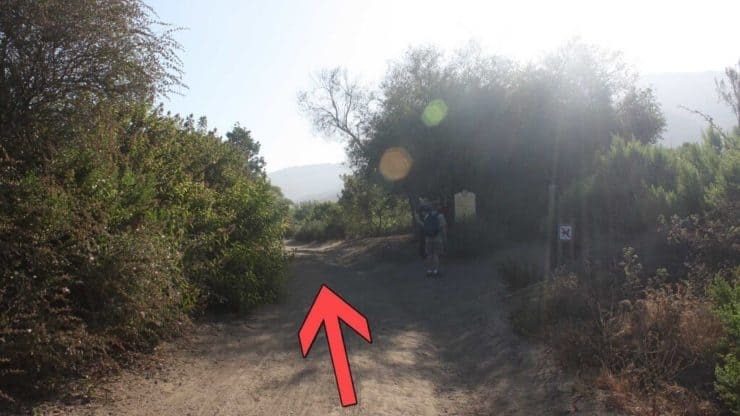 To do a shorter, 3.7 mile hike (and miss some of the views), make the left at the last intersection and bear onto the West Cut Across trail. Stay left, and climb until you reach No Name Ridge Trail. 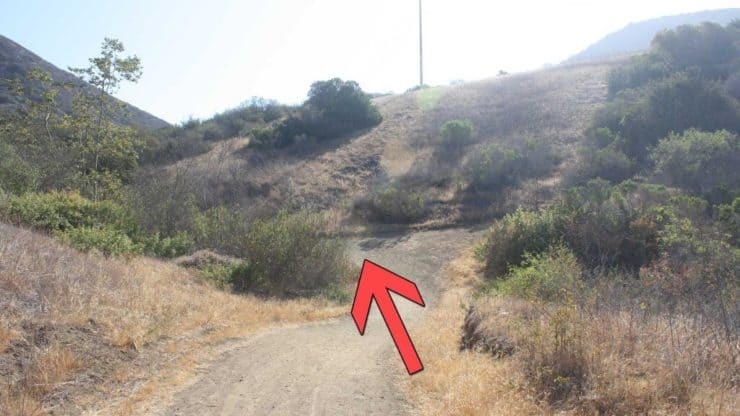 Then skip down the directions to “shortcut pickup” to continue the hike. Keep hiking to the left. You’ll see a few of these ‘side trails’ that lead to nowhere. They are built to access the power lines. 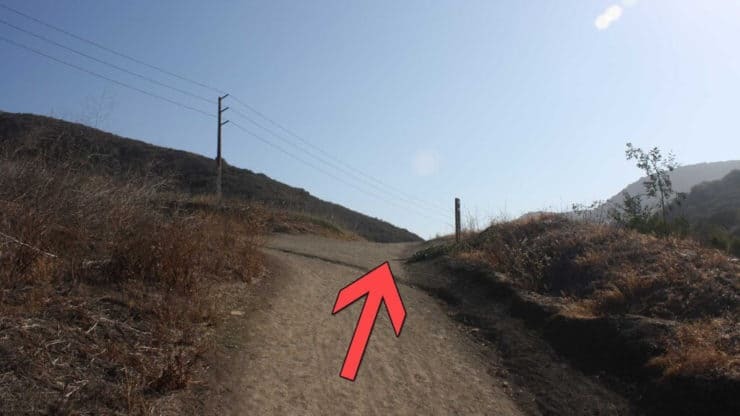 There’s another big power line access trail, keep hiking to the left. At about 2.6 miles, make the hard left to hike up the Slow N’ Easy trail. The Slow N’ Easy trail climbs gently. 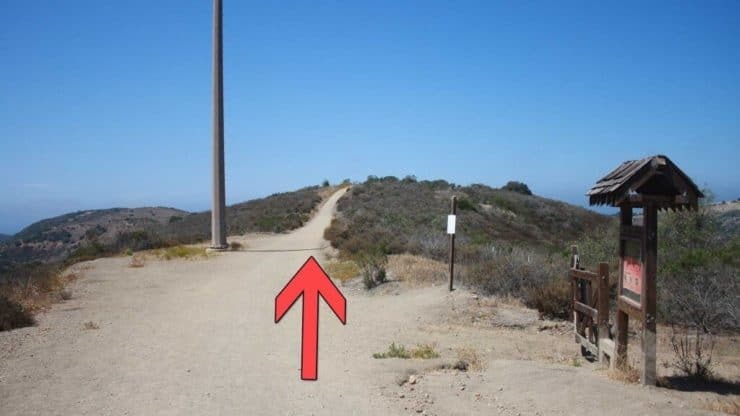 As you hike up the climb, you’ll start to see the ocean off to your left. 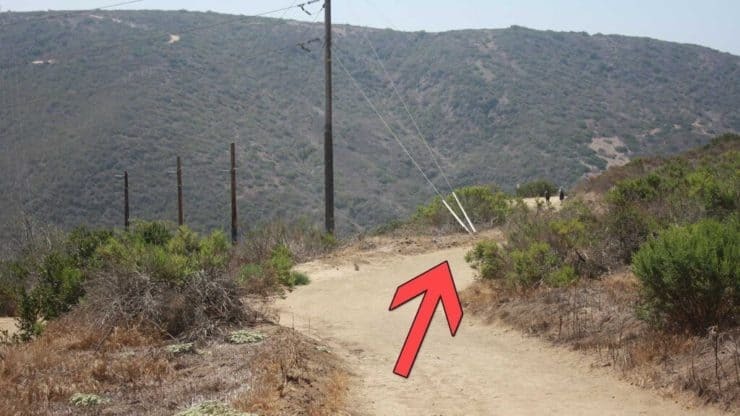 At 2.8 miles, another trail leading to a power line veers off left, keep hiking right. 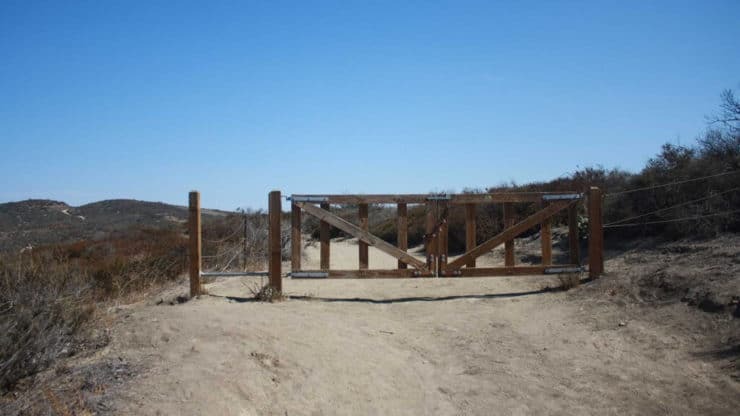 At 3.8 miles you will reach the end of the trail, hike to the left toward the gate. There are smaller side trails for mountain bikers here, keep hiking straight and hike over the gate. 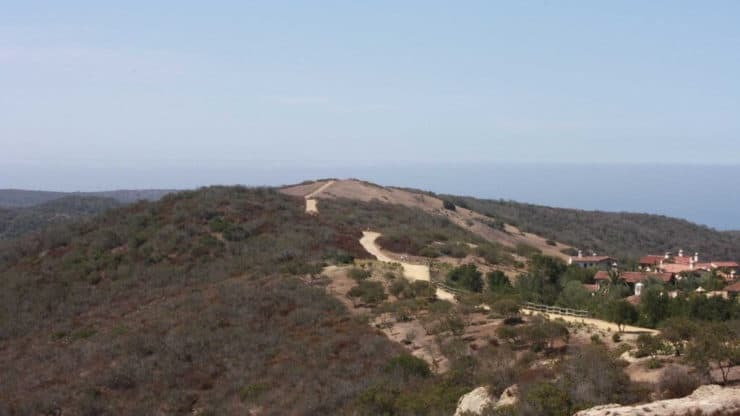 Signal Peak, at 1,164ft, comes into view as you hike on the trail. 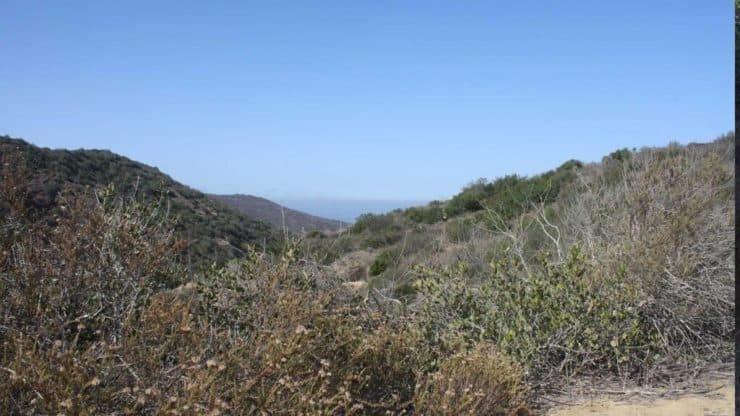 At about 4 miles, hike left onto the popular Bommer Ridge trail. 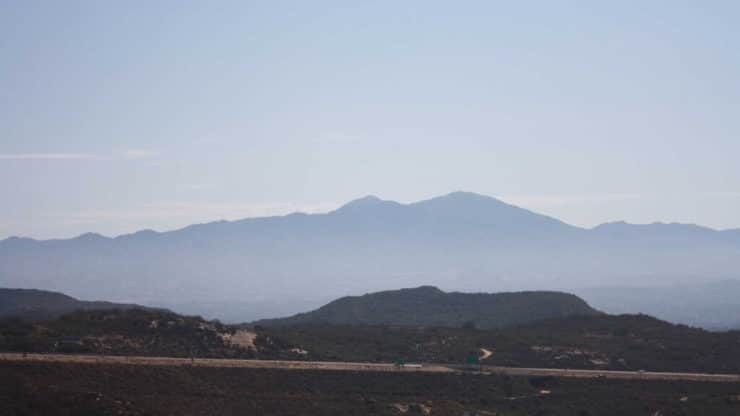 As you hike along Bommer Ridge Trail, you’ll have great views of the Santa Ana mountains to your right, including the highest peak, Saddleback Mountain at 5,689ft. At about 4.2 miles, continue hiking right on Bommer Ridge trail. 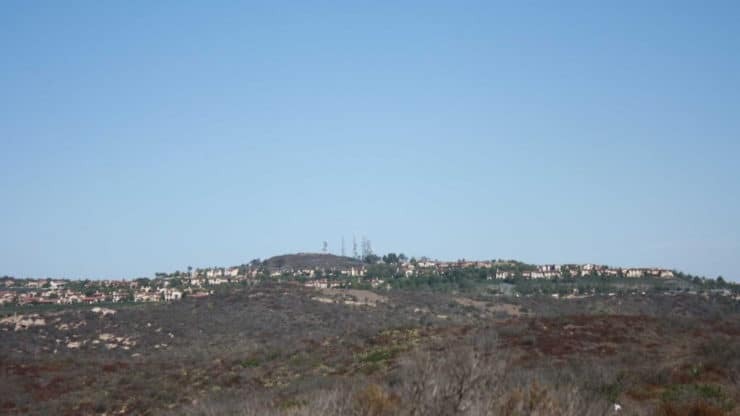 As you hike on the trail, it opens up to some incredible views of Irvine, Tustin, and Orange County. 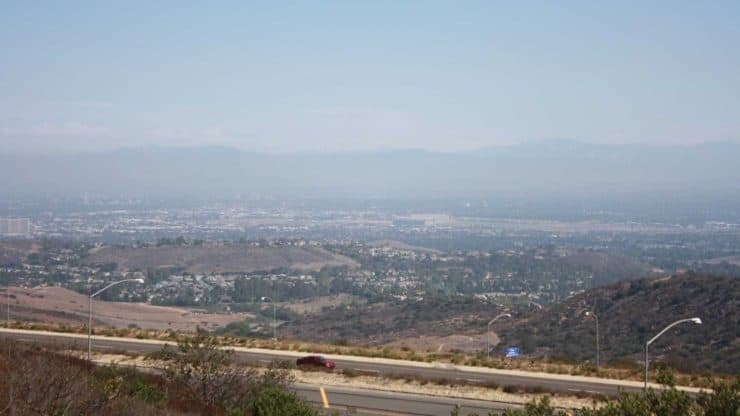 On a clear day, you will have a nice view of the San Gabriel Mountains. The two big concrete structures in the valley are blimp hangers from World War 2. Continue hiking on Bommer Ridge Trail up the hill. 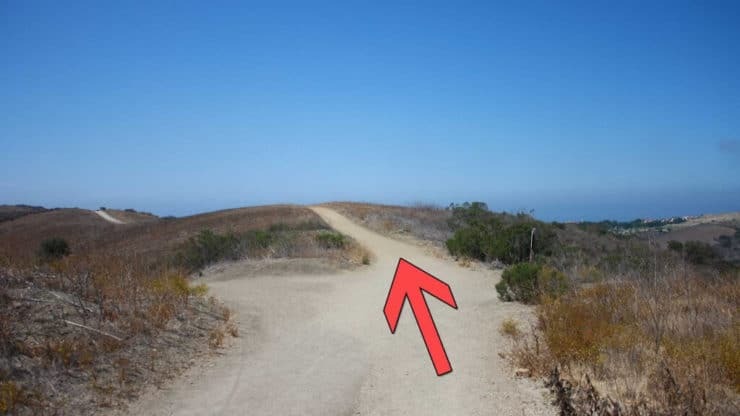 Again, there are little mountain bike trails that split off occasionally, just keep hiking straight on the big trail along the edge of Crystal Cove State Park. 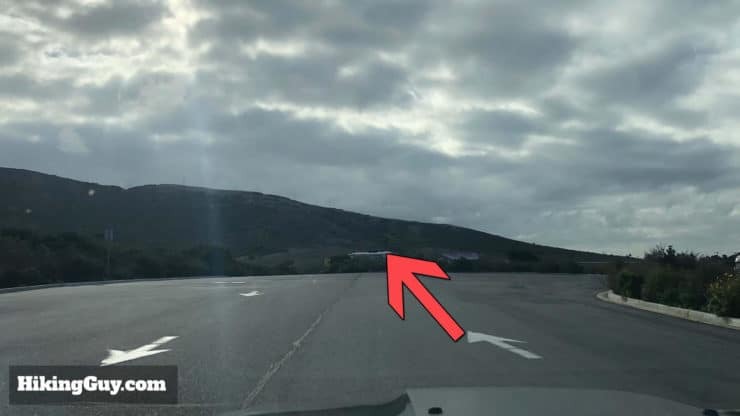 At about 4.9 miles, you make a sharp left. 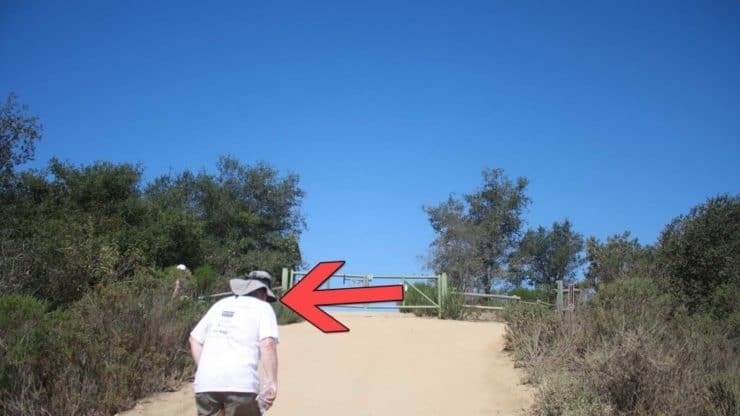 If you need water or a bathroom break, go past the gate, onto the road, and make a left. There is a sports field and park with bathrooms and water fountains. Continue hiking straight as the trail makes it’s way over the bumps on the ridge, Great Wall of China style. 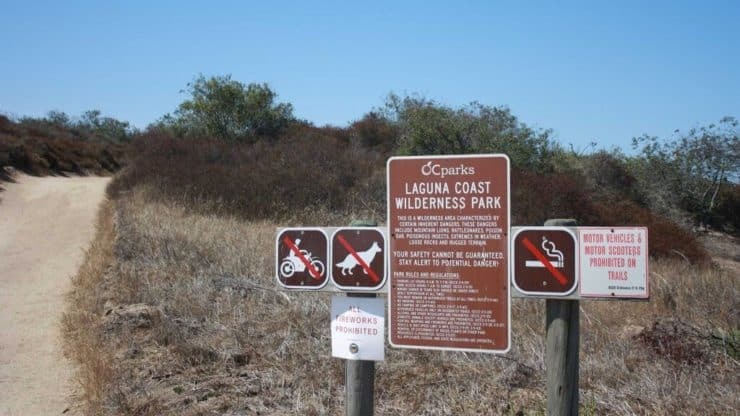 You’ll see signs for Orange County Parks. 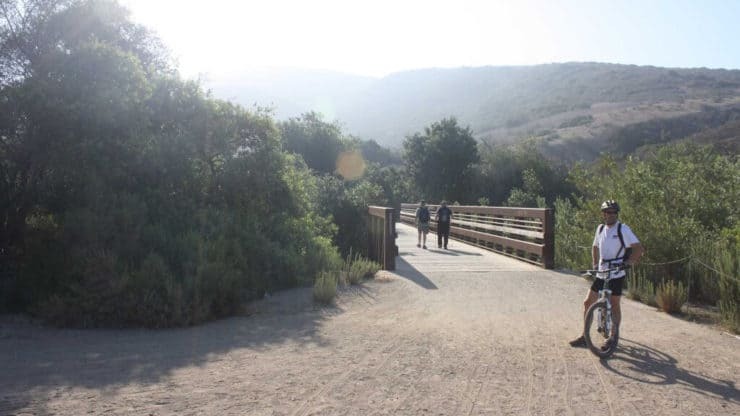 This hike goes through Crystal Cove State Park and Laguna Coast Wilderness Park. 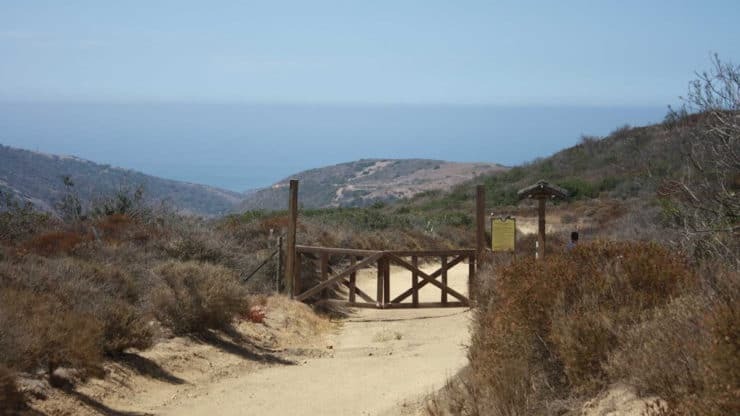 At about 6.1 miles, hike over the gate to re-enter Crystal Cove State Park. 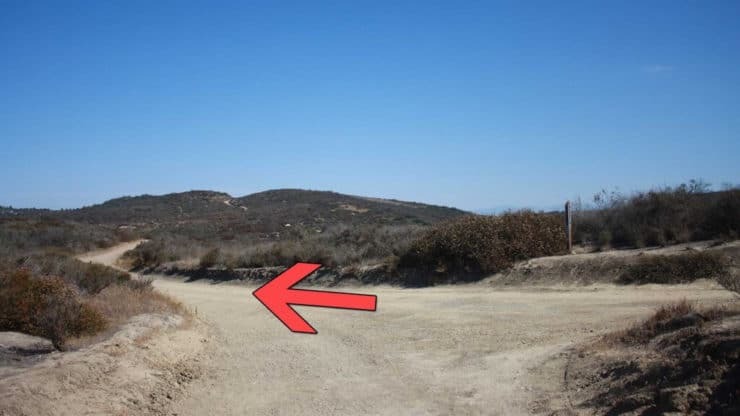 Shortcut Pickup – If you took the shortcut, you’ll come out here. At about 6.9 miles, continue hiking straight. 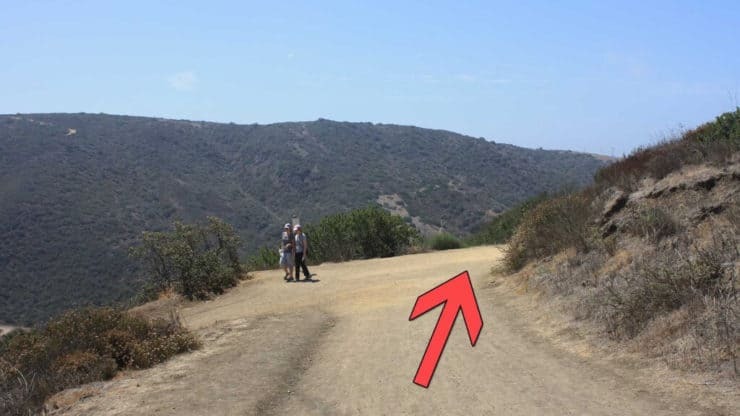 At about 7.1 miles, continue hiking to the right. At about 7.7 miles, continue hiking to the right. At about 7.8 miles, continue hiking to the right. 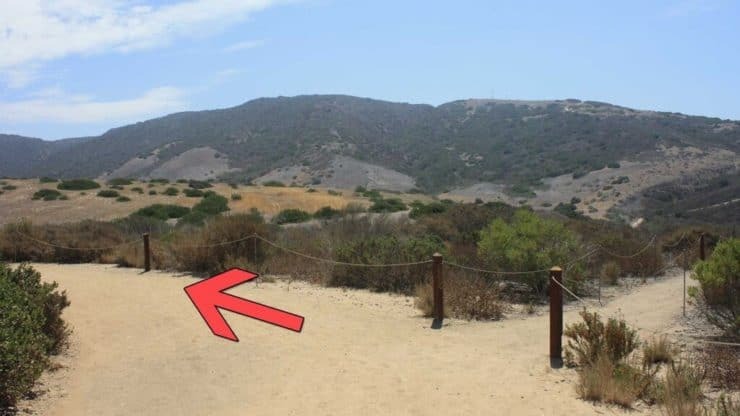 If you look down to your left, you’ll see the El Moro Canyon Trail that you started on, along with a lot of other trails in Crystal Cove State Park. Soak in the ocean views as you hike, you’re almost finished. 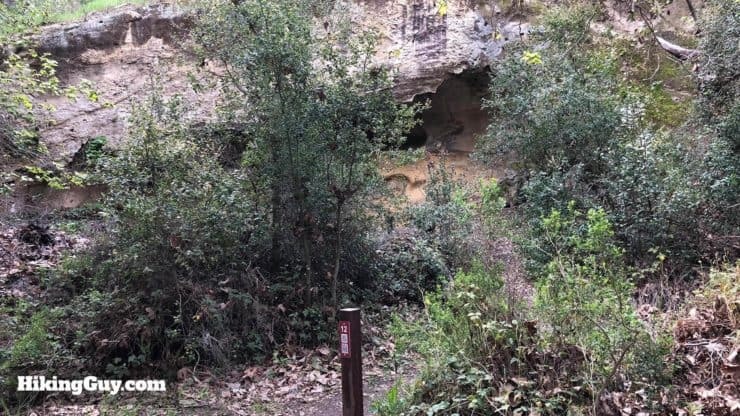 At about 8.5 miles, you reach the end of the trail. 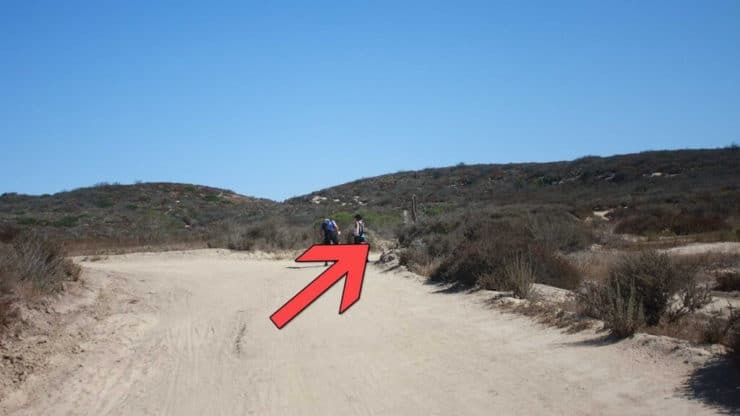 Hike left on the paved road into the Crystal Cove State Park parking lot. 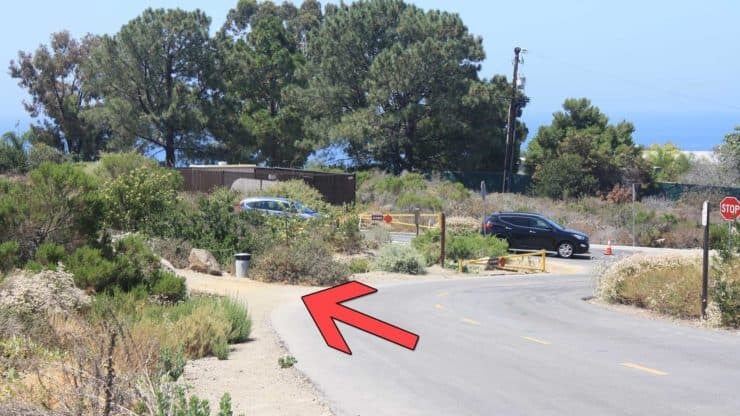 Continue hiking through the Crystal Cove State Park parking lot. There are bathrooms and water here to your left. 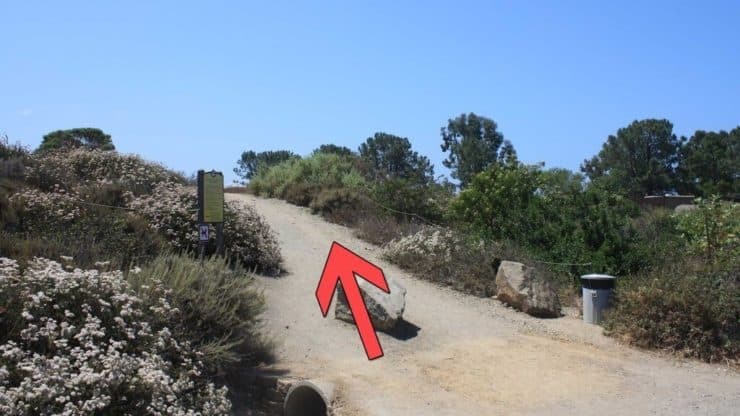 At about 8.7 miles, at the end of the parking lot, make the left onto the trail. 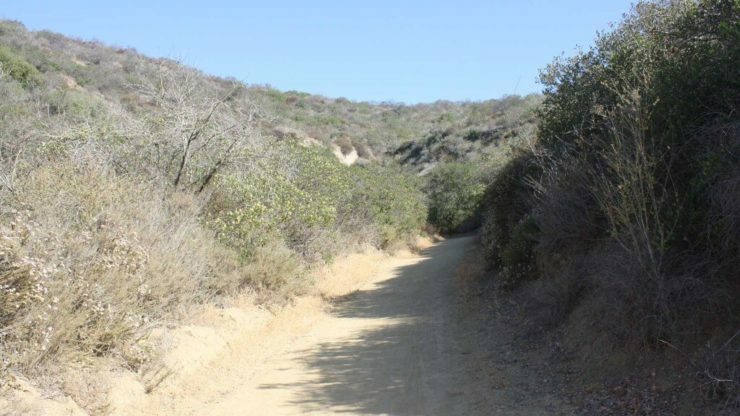 Continue hiking on this trail, which will follow the Crystal Cove State Park access road that you drove in on. 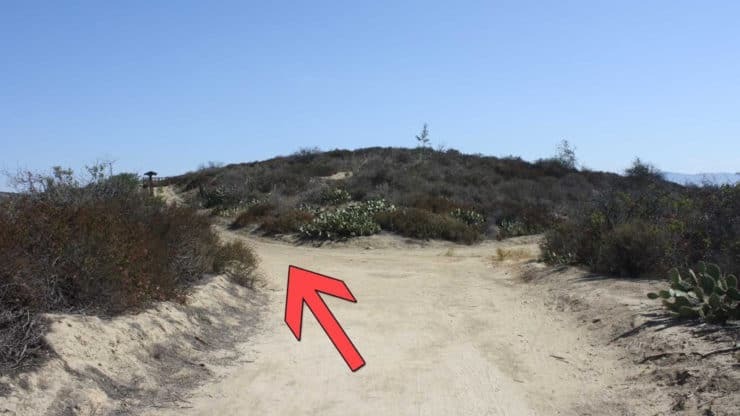 Continue hiking left on the main trail (this small trail heads to the Crystal Cove State Park campground). Here you are, back where you started!